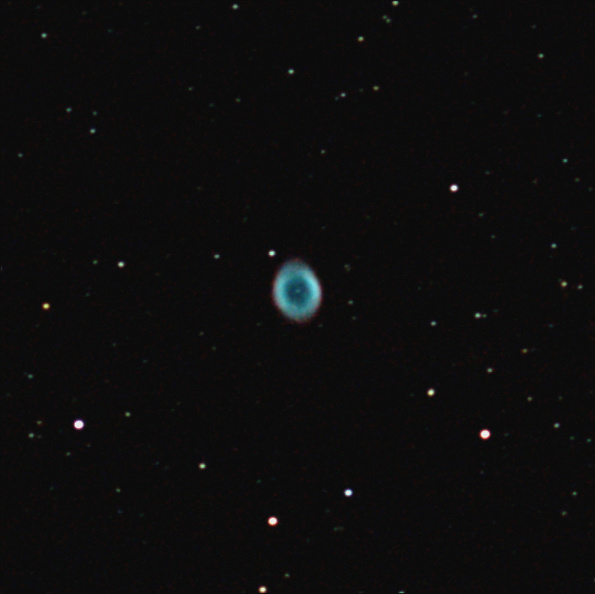 Messier 57, also known as the Ring Nebula is an easy target with all sizes of telescopes, even large binoculars. Conveniently located almost midway between the bright magnitude 3 stars Beta and Gamma Lyr, it’s very easy to locate. In the wide field of view photo below, we can clearly see M57’s position with respect to the two bright stars. 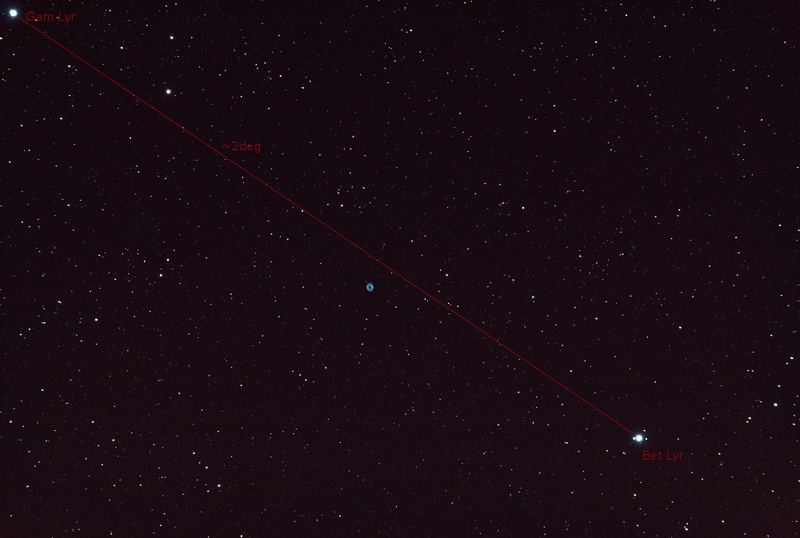 M57 is a small target, therefore not ideal for short focal lengths like my Skywatcher 80ED (600mm focal length). Below is a 1.5x zoom on the nebula itself. The digital zoom was performed by cropping and scaling the aligned sub images, prior to stacking them. This entry was posted in Photo and tagged Astrophoto, Astrophotography, M57, Messier, Nebula, Ring Nebula by Benoit Guertin. Bookmark the permalink.